Cybertoon.com: 05.15.2018 - AMAZING SPIDER-MAN #3 (LGY# 804): Peter Parker VS. Spider-Man?! What?! 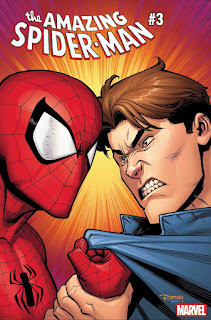 05.15.2018 - AMAZING SPIDER-MAN #3 (LGY# 804): Peter Parker VS. Spider-Man?! What?! Peter Parker vs…Spider-Man? Find out in AMAZING SPIDER-MAN #3 (LGY# 804), out this August! And don’t miss the debut of AMAZING SPIDER-MAN #1 (LGY# 802), out July 11th! i did't play this game but hope this game was good and full of action.i check different sites and i get one best site for apk and i want to share with you guys cinema box apk if you want to download video then check it.